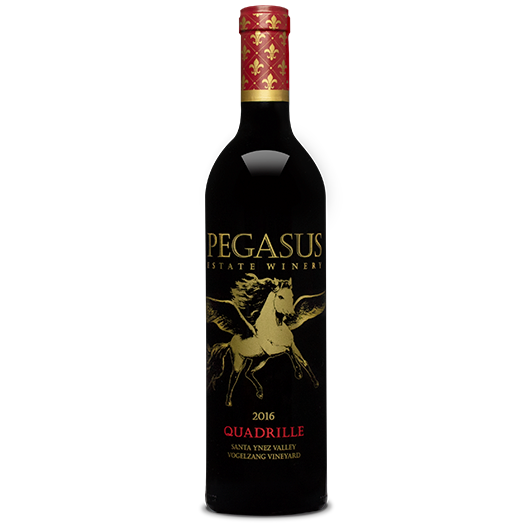 Quadrille Bordeaux style blend is fashioned with regional influences of the Left Bank, Medoc area and identifies much like a French claret wine. Crystal ruby in color with aromatics of chocolate, black olives, black fruits, cassis, vanilla, baking spice, and a hint of cracked pepper. This beautiful wine’s structure offers youthful tannins yet is sophisticated and assertive in character with Old World notes of dark cherry & black currant with vibrant New World hints of toasted Oak and violet, glints of warm spices & bright herbs. Best described as medium bodied, well-balanced acids and tannins, with a long smooth finish. Quadrille pairs agreeably with lean proteins like pheasant and filets. 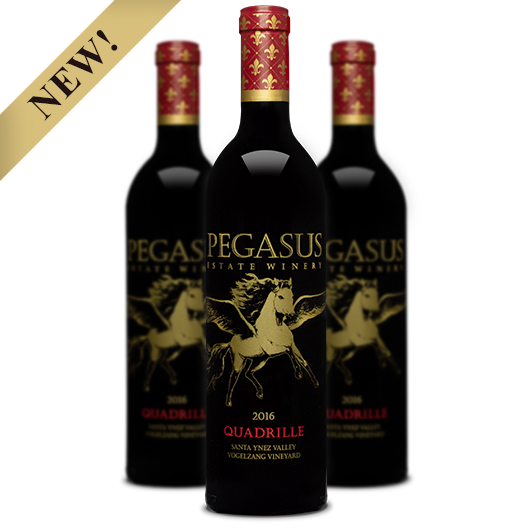 Aged on French Oak for 18 months, Quadrille is perfect to enjoy now or cellared for 5 – 7 years.